Customized throughout with high end finishings and numerous upgrades. 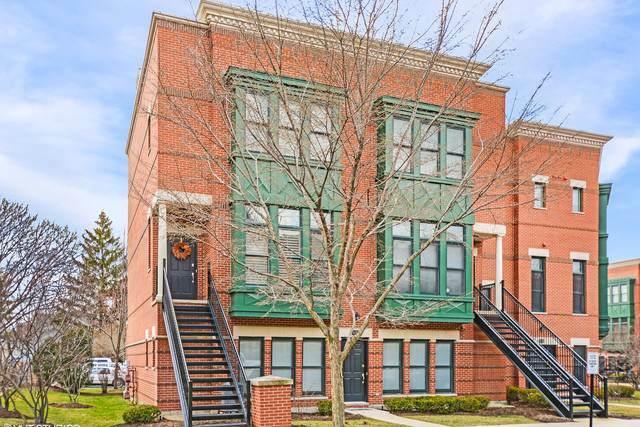 Brick row home, End Unit with extra windows, garage with epoxy flooring. 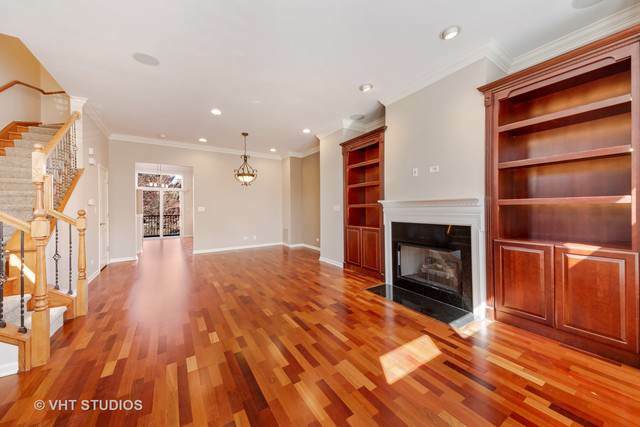 Wide crown moldings, gleaming cherry wood floors on main level w/ 42" Cherry Cabs, Stainless appliances, Galaxy granite counter tops, with custom lighting and pedants over island. French balcony off kitchen. 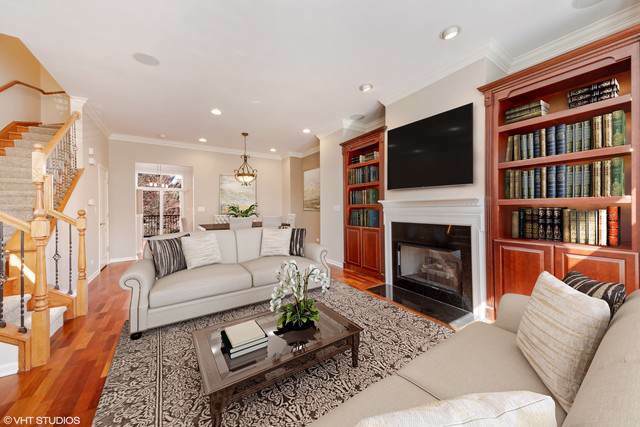 Living room w/ cherry built-ins, cozy fireplace, wired with surround sound and extra data lines. Freshly painted throughout. New Carpet on stairs and bedrooms. Wrought iron spindles showcase the stairs. The master has custom wood closet organizers, plantation shutter window treatments throughout, second floor laundry, custom designer paint treatments in master bath that looks like a spa w/ granite counter-tops & designer mirrors. Large Roof top deck recently stained and great view of downtown. Basement available for extra storage. Walking distance to Train and downtown restaurants and entertainment. VERY IMPRESSIVE!